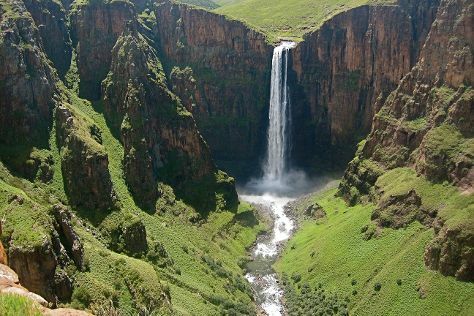 Step out of the city life by going to Maletsunyane Falls and Maluti Mountains. Explore Maseru's surroundings by going to Gates of Paradise Pass (in Malealea), Morija Museum & Archives (in Morija) and Teyateyaneng (Setsoto Design Gallery & Ha Kome Cave Houses). And it doesn't end there: try your luck at Lesotho Sun Casino, contemplate the long history of Thaba-Bosiu National Monument, see human ingenuity at work at Mohale Dam, and stop by Lesotho Co-operative Handicrafts. To see where to stay, maps, reviews, and more tourist information, refer to the Maseru tour planner. Prague, Czech Republic to Maseru is an approximately 27-hour flight. You'll lose 1 hour traveling from Prague to Maseru due to the time zone difference. Traveling from Prague in April, things will get a bit warmer in Maseru: highs are around 23°C and lows about 12°C. Cap off your sightseeing on the 30th (Sun) early enough to travel back home.